There is no definitive ranking of the top 10 fashion colleges from any accredited organization, which has both positives and negatives for prospective fashion students. Although the lack of an authoritative list can complicate your college search, it's freeing to realize that you can gain excellent experience wherever you choose to go. However, there are some schools that are considered more notable than others based on their innovative approach, famous alumni and prominence in the fashion world. The following schools are some of the top choices for students hoping to make their mark in the world of fashion. London-based school Central Saint Martins has become one of the premier design schools in the world. Its long list of famous alumni include Stella McCartney, Alexander McQueen, John Galliano, Christopher Kane, Phoebe Philo, and Hussein Chalayan, just to name a few. Legendary fashion figure Louise Wilson is among its preeminent faculty, and it offers a wide variety of programs, everything form textiles, jewelry and menswear to fashion history, communication and promotion. The British government subsidizes part of the tuition so that students from a variety of backgrounds can attend, which means it is less expensive than many other well-known fashion schools, with a cost of a little more than $20,000 per year (as of 2013) for a B.A. Arguably the best-known fashion school in the world, New York City's FIT is a haven for young designers and students in other creative fields. FIT offers both undergraduate and graduate programs, with courses of study including accessories design, fabric styling, menswear, and toy design (undergraduate) as well as fashion and textile studies and global fashion management (graduate). FIT's campus is in the artistic Chelsea neighborhood, providing an insightful daily window into the cutting-edge fashion of the city. If you are from New York State and are able to commute (a real possibility in Manhattan), its price tag is on the lower end at around $5,000 per year. Even if you can't commute, but are from New York state, you'll spend less than you would at other fashion design schools. 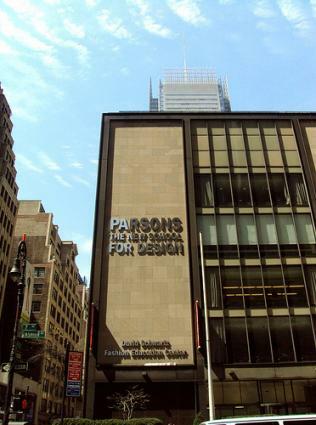 Nestled among the streets of Greenwich Village in Manhattan, Parsons The New School for Design has quickly gained an appreciative reputation in the fashion world for its top-notch faculty and specialty study programs. Its School of Fashion is connected with designers including Donna Karan and Marc Jacobs, and the college's dozens of faculty members have a wide variety of established backgrounds and are able to share numerous perspectives with enrolled students. Prospective students should plan on pinching their pennies for quite a while, as this school comes with a $40,000 per year price tag as of 2016. Kingston University, a London-based school, has produced such notable designers as Felipe Baptista, Glenda Bailey, and Sophie Hulme. Besides a thorough curriculum touching on every facet of design, the school has strong internship and study-abroad relationships with companies like Brooks Brothers, Banana Republic and Old Navy (Gap Inc.), Woolworths South Africa, Topshop, Topman, ASOS, Abercrombie & Fitch, H&M, and Zara. Kingston University has gained a reputation for placing its students in key positions in the best fashion companies. It is one of the most high-value schools, with an annual tuition below $20,000, as of 2013. The fashion school of London's graduate-only RCA has produced a wide array of big-name designers such as Erdem Moralioglu, Philip Treacy, Ossie Clark, Christopher Bailey, and Zandra Rhodes. The world-famous institute offers a comprehensive selection of M.A. degree programs in fashion menswear and womenswear, goldsmithing, silversmithing, metalwork, jewelry, and textiles, as well as a few other artistic endeavors. In addition, the school has access to many of London's premier fashion houses and events where students routinely exhibit their work. 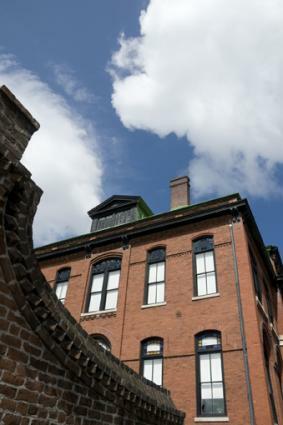 SCAD is a school that truly celebrates all areas of fine art and has a mission to prepare students for serious careers in their chosen fields. 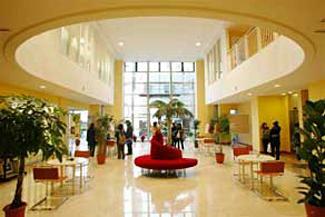 Its design school includes programs in everything from design management to accessory design, and the fashion school includes a luxury and fashion management course of study. Fashion legend Andre Leon Talley currently serves on the school's Board of Directors and has helped make the school a world-class destination for fashion design study. In addition, their newest Dean, Michael Fink, is a mover and shaker in the global fashion industry, thanks to his stint as the director for Saks Fifth Avenue's women's fashion. SCAD has also become known for its nine-day annual event called SCAD Style, which features lectures and interactive events from many of the best names in fashion, such as Chris Benz. The alma mater of Domenico Dolce and Franco Moschino, Istituto Marangoni is a world-famous fashion school with campuses in Milan, Paris, London, and most recently, Shanghai, China. It is a little less expensive than many other world-class fashion schools, with tuition beginning at around $18,000 for international students. Besides fashion design, it features programs in fashion acquisition, promotion, and brand management to give the student superb business instincts to match their design skills. Parisian fashion school, Ecole de la Chambre Syndicale is one of the least expensive yet most prestigious fashion schools in the world. Besides its renowned training program in the couture technique, it boasts famous alumni such as Adeline André, Valentino, André Courreges, Yves Saint Laurent, Nicole Miller, and many others. Although they do accept undergrad students, admission requirements can be more stringant, often requiring applicants to have already taken some fashion design classes. Henry van de Velde, an architect, interior designer and metalsmith, and one of the founders of the Art Nouveau style, founded La Cambre in Brussells in 1926. Its rich history has attracted and produced great design names such as Olivier Strebelle, the man who designed the "Athlete's Alley" sculpture for the 2008 Beijing Summer Olympics, and its fashion school has an enviable word-of-mouth reputation among the Parisian fashion houses and leading fashion commentators. It offers a five-year program for fashion with a sweeping array of coursework from traditional fashion, textiles, ceramics, and metalwork to cross-learning programs that help designers incorporate all mediums of art -- film, painting, architecture -- into their fashion designs. The school requires that students speak French fluently. Last and certainly not least, ESMOD, the mother of all fashion schools, has the prestigious claim of not only being the world's first fashion design school, established in 1841, but of also providing the world with two important inventions - the mannequin and the measuring tape. The school offers a three-year undergraduate program in Fashion Design and Garment Creation as well as post-graduate programs in Fashion Home Design and Fashion Business. Among its innumerable alumni you'll find names such as Nina Garcia, Christophe Decarnin, Alexandre Vauthier, Damir Doma, Olivier Rousteing, Suzy Menkes, and Thierry Mugler. The most remarkable thing about the world's first fashion school is that it only costs $13,200 a year, according to its 2013-2014 published costs. When you're looking at profiles of fashion colleges, keep practical factors in mind such as cost, student-faculty ratio, school resources, and job placement options. Reputation and alumni are two significant factors you may also want to consider, but ultimately, the best reason to enroll at any college is because it feels like the right place for you.